This quilt flimsy has finally been finished. It’s taken awhile but it’s been totally worth it. 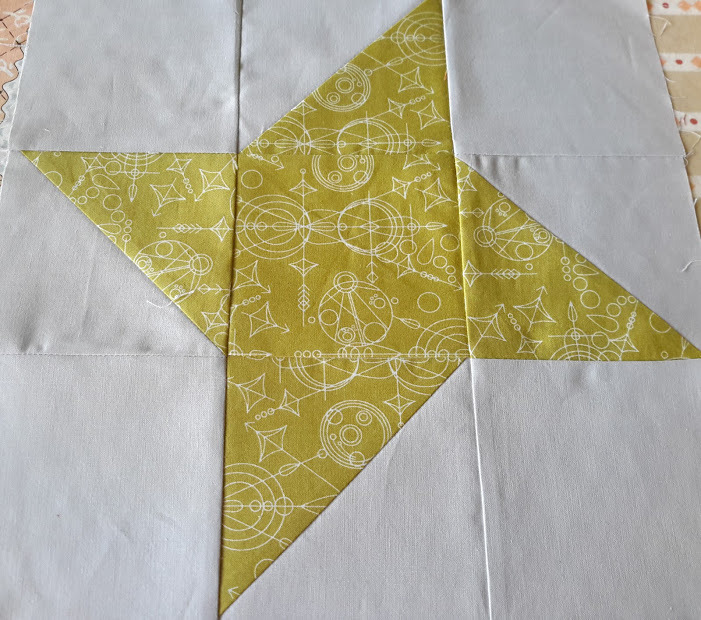 I started off making a totally different quilt pattern but quickly realised that I had sewn my half square triangles together with the wrong fabrics paired up. 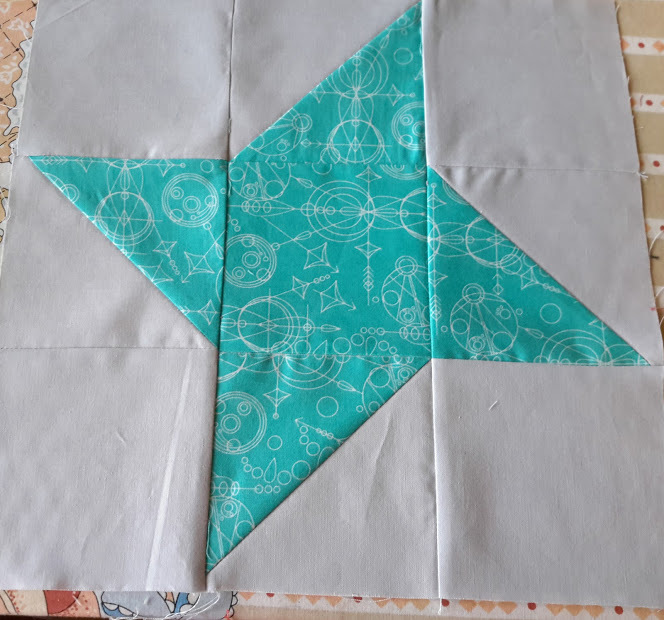 I had no more grey fabric so I couldn’t cut any more grey triangles, so I decided to make a block what would work with the fabric that I had. 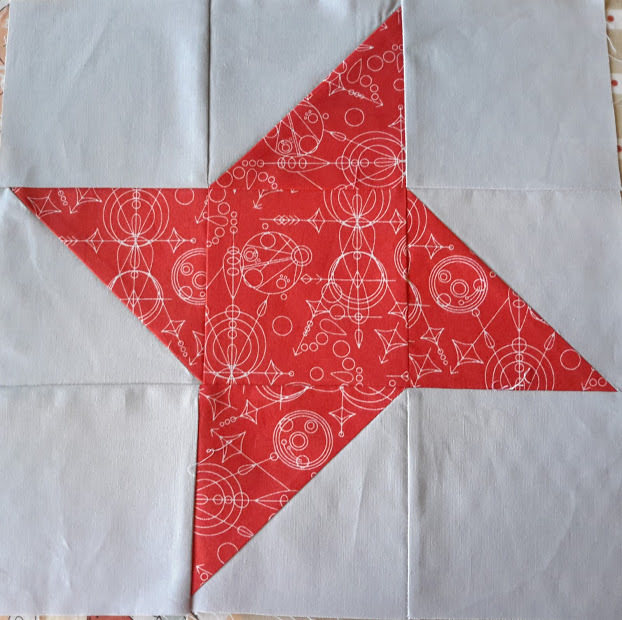 Simple friendship star blocks perfectly showcase the Alison Glass fabric that I had bought on a trip to the United States. I just love this fabric and the colours! But no more grey fabric to use to set them. As I pondered how to set these blocks a frantic fabric stash search ensued. I after some searching I finally found a grey cotton a shade lighter than the grey in the blocks. Not wanting to purchase new fabric and having forgotten exactly what shade of Kona Cotton was in the blocks I had made I threw caution to the wind and decided to use the new slightly lighter grey as sashing. I like the effect of the lighter sashing. I think it gives the quilt a bit of added interest. Not being sure what I wanted to do with borders the unfinished flimsy sat for a couple of months while I auditioned various ideas in my head. Nothing seemed to “sing”. So I decided to just float them in the grey fabric. 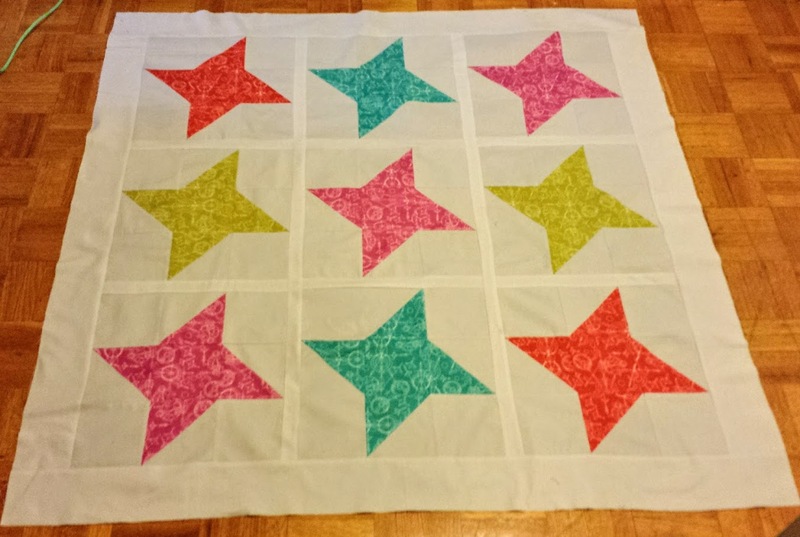 I’m pleased how the lighter sashing and borders frame the friendship stars! Now to get this quilted. It’s 44″ square which means I’m likely getting to piece the back. Thank you! I”m pleased too. 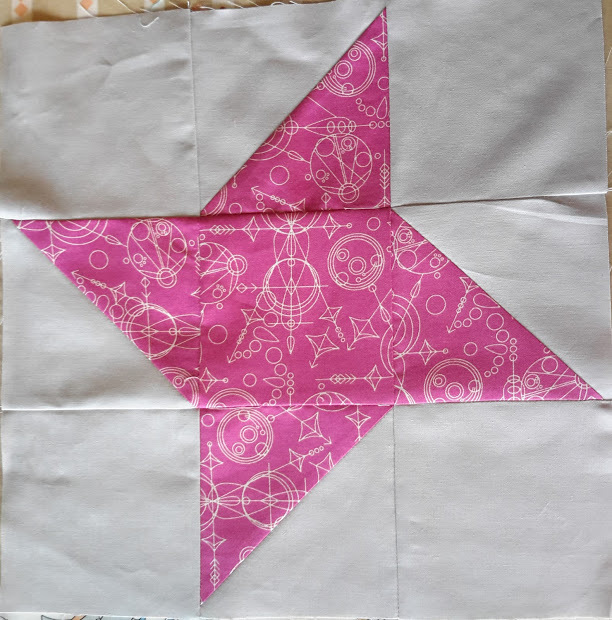 For a quilt that seemed to attract one mishap after another it is turning out quite nicely. This is such a pretty quilt. 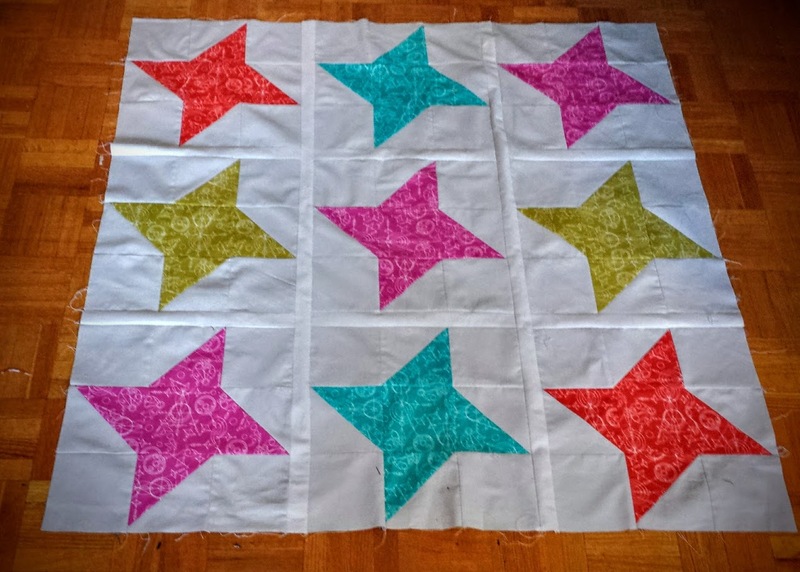 I love this fabric in a friendship star and I like the lighter sashing as well. Good work at using what you have. Thank you! It was quite the lesson in being adaptable! The lighter gray sashing and border does add a nice interest and looks like the mullions in a window to me. Thank you so much for linking up and congratulations on the lovely flimsy! I like your choice of the lighter grey sashing too. It looks great.